Not very clean at all, shower didn’t work, the sheets seemed clean but the duvet had blood stains and yellow marks underneath. The kettle was awful limescale floating really bad ad was full on arrival so I suppose it’s to be expected. I appreciate it’s a budget hotel so I didn’t expect a lot for my money but I did expect a little more with the cleanliness. On check in I was told about the restaurant and told their availability was really good, turned up at 6 to be told they were fully booked all evening. On check out receptionist didn’t even look up at us so just put the key on the desk. Oh and last but not least don’t use the mini bar go to the shop and stock up. 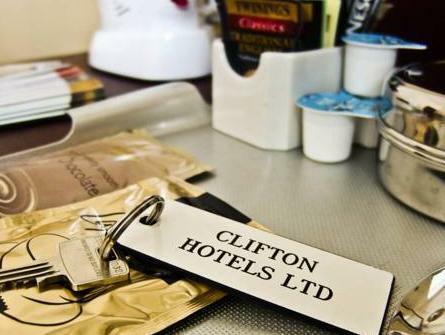 Nice hotel in the elegant Clifton area right in the centre of town. Room was good and comfortable. The only downside was the shower not working very well. The hotel was in a street of elegant Georgian houses with an impressive entrance and in a quiet area. 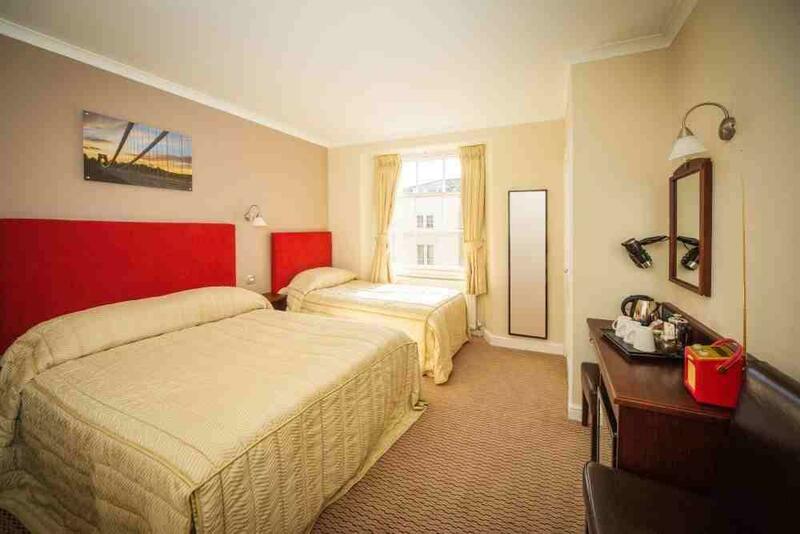 Its distance from the city centre was more than offset by the price. Its 24 hour reception makes it ideal for those attending events in the city centre, as I was. The staff were polite and helpful and the room was fine. The hotel staff (reception and cleaning) were friendly and helpful. The room was small but at a good price for such a great location, very close to museums, art galleries and the university. Parking is £8 in a secure, off-street garage, which is very good value. The hotel's restaurant seemed lively and popular ( I was eating out with friends, otherwise 'd have tried it). The room was quiet and very well appointed. It had a fan in it for the extra hot weatherbut with the window open a little there was always a pleasant breeze. There were a couple of small hiccups with booking and facilities, but staff dealt with these swiftly and pleasantly, so there was no problem. I would stay there again. Nice location friendly staff, all basic amenities. Room small and noisy. Listened to noisy air con and guy in next room snoring. Cold shower. Hidden charges need to pay to park in very tight car park! Good location, clean rooms and facilities, friendly and helpful staff. Beds were a bit soft and springy but otherwise ok. Grim - room very small & with uncontrolled heating on full blast. Comfortable but at first they offered a room w/o a bath room. In a B & B that is acceptable but one takes it for granted in a hotel. Otherwise fine. There is a quaint coffee/tea shop on the ground floor of the hotel and a bar/restaurant in the basement. The hotel is also well located next to Park Street (shopping/bars) and Clifton (bars/restaurants). 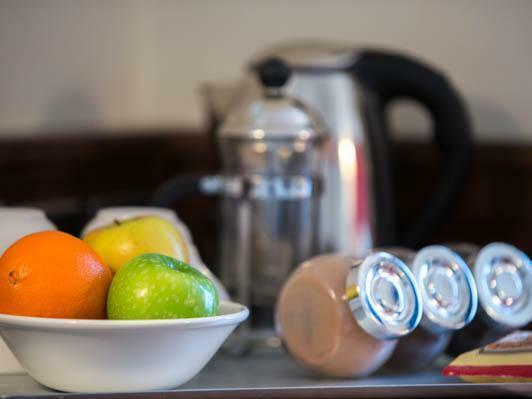 The room comes with fresh fruit and loose-leaf tea which are replaced daily if consumed. The wifi was good value, around £10 for "one-week", although heavy users will hit the transfer limit before the end of the week. 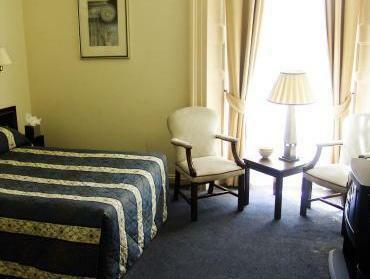 the hotel is located near the University, in a victorian building,in a good area. Downstairs it has an informal style lobby with a bit of a hostel look, lots of chairs and tables, nice and clean. Wifi was temporarily not available. Room was clean and complete, but rather small and a bit old. Fruits and tea in the room. small hotel - i had a single room around 9 sqm or less that is pretty small. bathroom is also small. however, it is still acceptable and comfortable if you spend a night and dont want to spend too much. you have restaurants / coffee downstairs and around and that is a good point. this hotel is far better than its little brother from the same chain washington hotel nearby. it was a good all around hotel with nice clean room, they provide complemenatry fruits in the room. they also have a nice restaurant and bar. 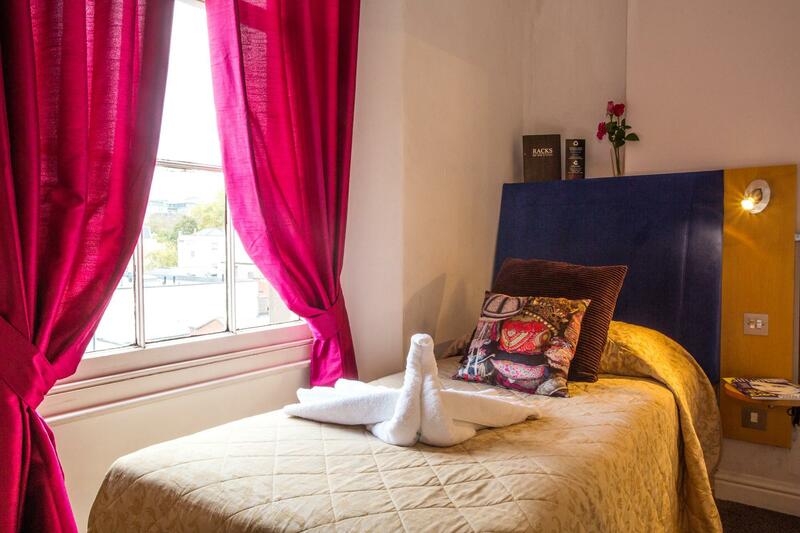 it is well located in one of the nicest areas of bristol (clifton). there is free parking around but you will have to be lucky to find a spot. excellent location. Large, clean room with big windows. Very friendly front desk staff. สถานีรถไฟ Clifton Down - ระยะ 0.61 กม.